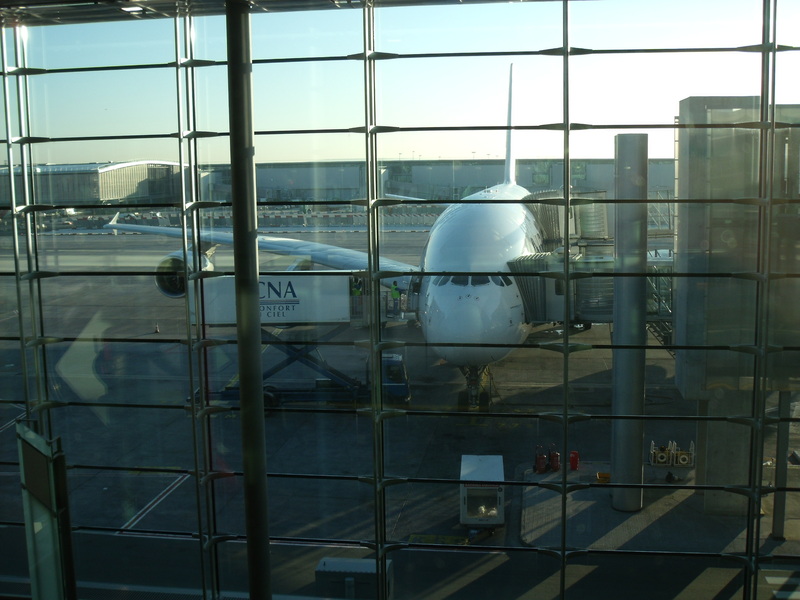 A regular reader Ronan O’Reilly has kindly forwarded a second very interesting article discussing his experiences of flying in that wonder of European engineering, the A380. Over to you Ronan. It was recently announced that Moscow-based Transaero Airlines (one of Russia’s biggest leisure-market carriers) had ordered four Superjumbo A380’s with a capacity for 700 seats. This news spurred me to write about my own recent experience travelling from New York to Paris on an Air France A380 Superjumbo. Having had some business to attend to in the US, I was really excited when the option to fly on this particular aircraft was presented to me. To anyone who hasn’t yet heard, the A380 is a real marvel of precision aircraft engineering, using state of the art fly-by-wire technology and with a maximum seating capacity of 800 passengers, though it does have a price tag of €200 million ($275 million)! However, travelling out from Dublin to New York via Paris in October, my travelling companion informed me that she had received a text prior to the departure from Dublin to say that we were being “bumped” onto another flight due in part to the sickness/unavailability of flight crew. This put a little damper on the outbound leg, as we would now be in Paris much longer awaiting a later flight. The logistics of moving passengers from an A380 is more complicated because there were over 500 passengers to be reassigned to aircraft holding a maximum of 300 passengers only. My companion and I were assigned to a later flight on a Boeing 777, which is one of the workhorses of the Air France long-haul fleet and had a wonderful flight to New York and a pleasant overnight stay in that city. 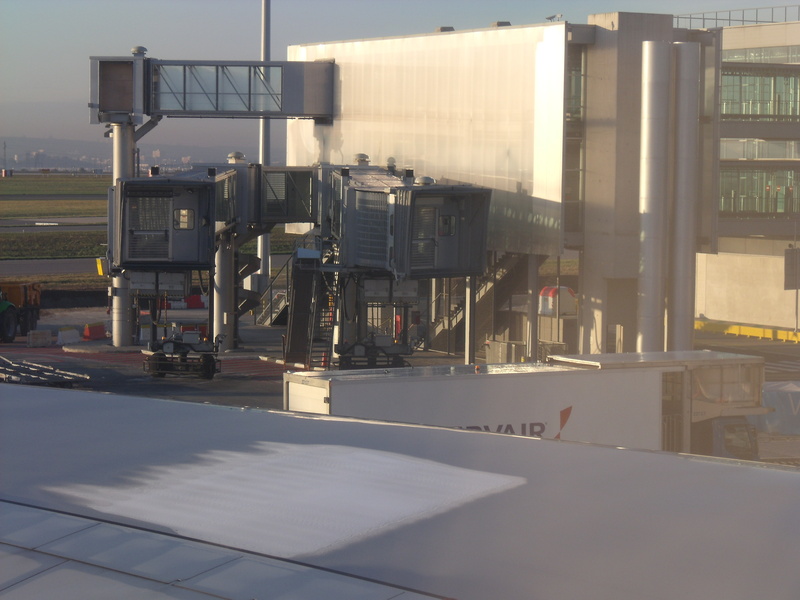 On the return leg of our flight to Ireland, we were unsure of the aircraft type until check-in, when it was confirmed that we were flying on an A380 aircraft back to Paris. We got our boarding cards and headed to the Gate to get a glimpse of the aircraft before darkness fell. At the gate one could see the aircraft clearly. Looking at it close up, I was impressed by the really enormous wings and a little surprised about how “dumpy” it looked from the front, somewhat like that of a beached whale! 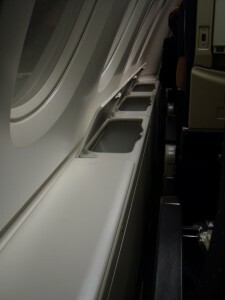 What I noticed in the aircraft was the space and level of comfort. The bins were large and placed well above you. 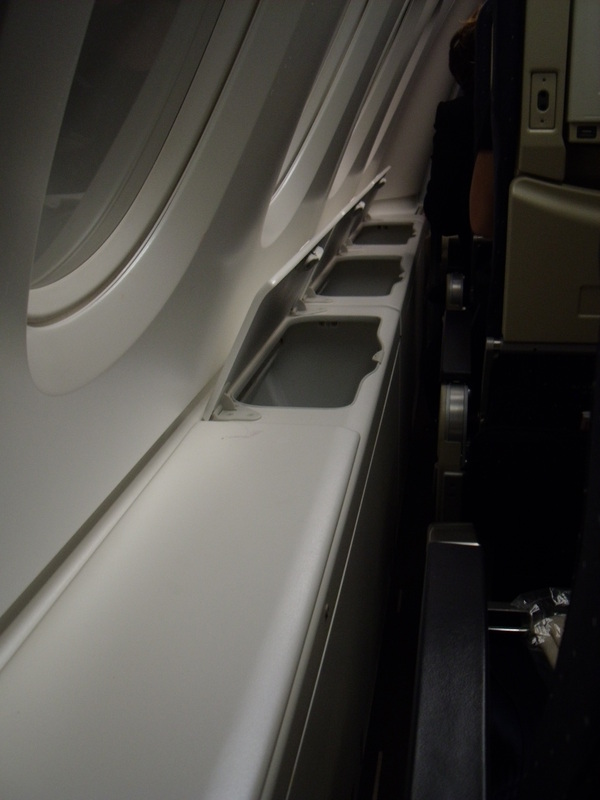 If that wasn’t enough space, you could put your bags beneath your seat and along the windows there were more bins to place coats, bags and smaller hand luggage. The take-off was uneventful and what was really noticeable was how quiet it all was. Like in some luxury car, it just seemed that there was lots of stuff in the walls to keep you from noticing that you were moving at all. 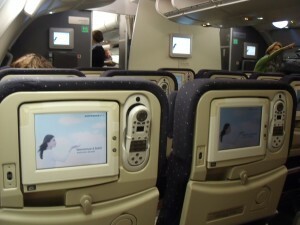 Though my companion and I were in Economy class, the seats were fine and we both slept most of the flight to Paris. Disembarking at Paris was as a fast and seamless experience and it was with a little sadness that we wandered away from this aircraft in search of our small Cityjet aircraft in another terminal. The photograph below shows one of air-bridge towers that are used to embark and disembark passengers at Paris Charles de Gaulle airport in Terminal S3, which was primarily designed for A380 use at this airport. 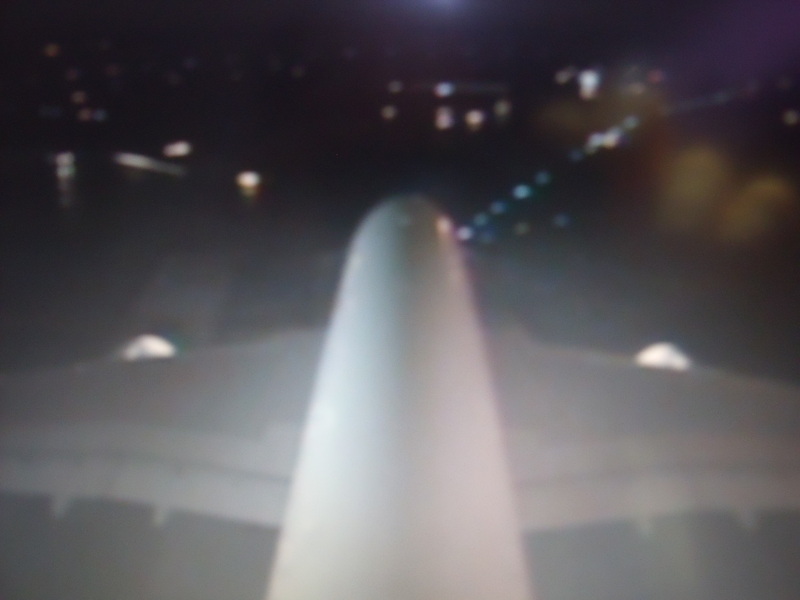 Note the square patch on the wing above one of the fuel tanks in the wing; the difference in temperature of the Jet1 Aviation fuel tank versus the temperature of the air in the wing causes this condensation. Now back in Ireland I hear it said in many places that the new Boeing 787 Dreamliner, which has the advantage of a manageable size for certain long-haul routes, may be the perfect fit for airlines operating in a recession. With reduced fuel and maintenance costs, the Dreamliner does seem best place to win over airlines that are reviewing their aircraft orders in light of the downturn. Indeed, it recently emerged that Thai Airways had wanted to cancel its order for 6 A380 aircraft but after long negotiations Airbus managed to get it to delay delivery instead. ILFC, an aircraft leasing company also cancelled an order for 10 A380s, which would seem like a blow to Airbus and its order book. 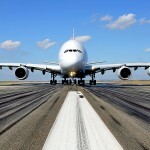 But according to aviation commentators, this cancellation could benefit Airbus. This is because ILFC had managed to get these aircraft at a very good discount price and following on from the cancellation for this large order Airbus could now make them available to other customers at better rates in the much shorter term. However, following on from the Transaero order and my own feelings having travelled in this aircraft, I personally believe that the A380 has a bright future and a valuable part to play in this economic downturn. I believe it has the “wow” factor and more importantly can take the First, Business and Economy class passengers in some style and comfort in really large numbers, which itself is a boon. While the recession is forcing people in some Western economies to migrate to areas of the world where GDP is stable or growing, greater numbers of citizens of the developing economies are now in the position to travel and surveys indicate that Europe is their Number 1 destination. 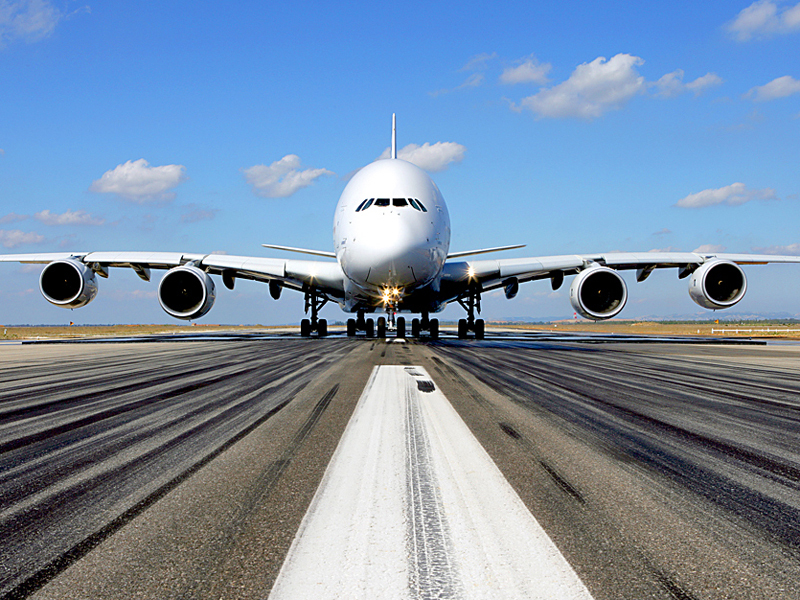 Taking these facts together I think there is a future for the A380 and the airport Super Hubs that serve them. And did you know that there are already 60 aircraft flying in the world and that orders like the Transaero one are still coming in? My recommendation is don’t turn down an opportunity to fly in it when you are booking your next long-haul flight and see for yourself how this mammoth aircraft handles for yourself! Can’t wait to fly on one someday. Nice trip report! 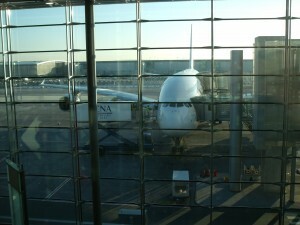 I love flying on the A380 and flown it already with AF (twice :D) , EK and CZ.